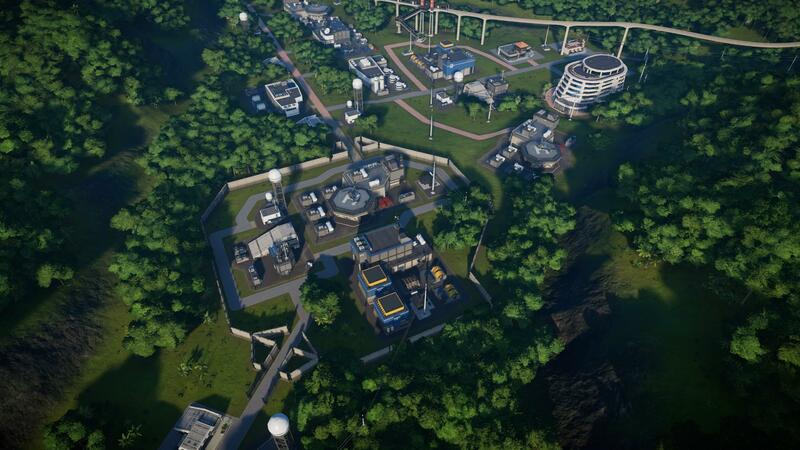 Ok, so starting off, you wanna have in your island the main buildings: Expedition Center, Fossil Center, Research Center, Ranger Station And a ACU Center. You wanna place them, at a small area on the island for space. To get a good safety rating on a island, what you wanna do is to add Emergency Centers on the island, you can add them near enclosures, hotels, viewing platforms/gallerys and buildings such as gift shops, restaurants, etc. also on the Entrance. So to have good Capacity, Not that hard, basically have some hotels near that. 2-5 hotels will make it great capacity. Again, this is eazy. To get Great Satisfaction, You wanna have Food Buildings, Drink Buildings, Fun Buildings, Shoping Building And A Monorail Station For Transport. You wanna add these buildings near Hotels and Viewing Platforms/Gallerys. Not that hard, To get good dinosaur rating, basically what you wanna do is have at least 30+ dinosaurs. Variety: This one is eazy. pretty much, it's depends on how many dinosaurs species you have on an enclosure, the more different species, the more rating you get. Werfare: This one, is also eazy. basically, don't put aggressive dinosaurs with passive dinosaurs. Basically, How you unlock researches. such as buildings upgrades, skins for dinosaurs and enclosure up grades. basically, You wanna have the Science, Entertainmaint and Security Divisons Reputations At high enough to do missions, to get these reputations high, so you can do missions, you wanna do contracts. You can also requests them and not wait for them. To do that, go to Control Room > Contracts > Request Contract. in the game ofc. By having these high enough, you can unlock missions. by doing missions, you will get rewards, as such researches for buildings upgrades, enclosure upgrades and more. Large carnivores can live with small carnivores. Small carnivores can live with Large armoured herbivores. 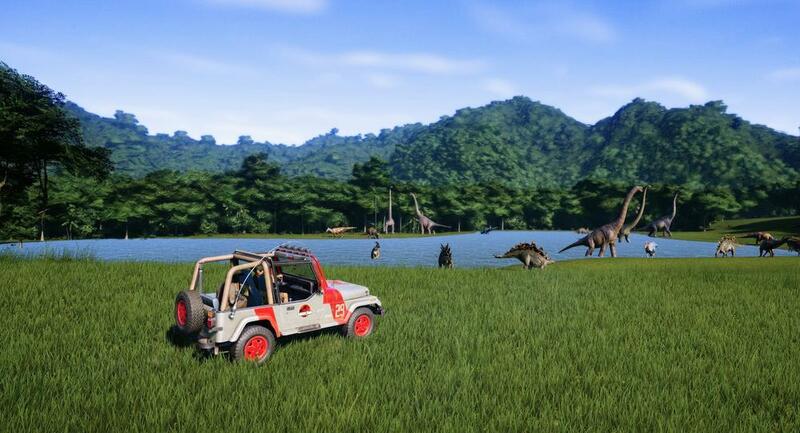 Any carnivores EXPECT indominus rex can live with sauropods. To unlock dinosaurs, you can do missions. and to find their fossils, use the expendition center. Ankylosaurus - Group 1 - 4, Population 1 - 8 They prefer small areas of grassland and forest. Apatosaurus - Group 3 - 7, Population 3 - 22 Prefers roughly equal measures of grassland and -forest, but the smallest overall area for optimal comfort. Archaeornithomimus - Group 1-16, Population 1-21 Prefers roughly equal measures of grassland and forest, but the smallest overall area for optimal comfort. Brachiosaurus - Group 1 - 5, Population 1 - 25 Prefers large areas of grassland, as well as even larger areas of forest. Camarasaurus - Group 2 - 7 . Population 2 - 23 Prefers a large amount of land area to thrive, with the bulk of it being forest. Chasmosaurus - Group: 3 - 5, Population 3 - 11 Prefers a modest area of grassland, with a small amount of forest. Chungkingosaurus - Group 2 - 12, Population 2 - 18 requires a good sized territory with plenty of grassland, an a slightly smaller area of forest. Corythosaurus - Group 2 - 13, Population 2 - 24 Prefers good sized grassland areas with a slightly smaller coverage of forest. Crichtonsaurus - Group 1 - 5, Population 1 - 8 Prefers modest areas of grassland and small areas of forest. Diplodocus - Group 1 - 8, Population 1 - 24 Unlike other sauropods, they require less forest, but do still require ample grassland. Dracorex - Group 2 - 8, Population 2 - 12 Prefers good open grassland areas with a slightly smaller coverage of forest. Edmontosaurus - Group 1 - 15, Population 1 - 25 Prefers good sized grassland areas with a slightly smaller coverage of forest. Gallimimus - Group 1 - 18, Population 1 - 23 Prefers small area of grassland with a tiny amount of forest cover. Gigantspinosaurus - Group 4 - 10, Population 4 - 16 Prefers good sized territory with plenty of grassland, and a slightly smaller area of forest. Huayangosaurus - Group 1 - 13, Population 1 - 20 Prefers good sized territory with plenty of grassland, and a slightly smaller area of forest. Kentrosaurus - Group 3 - 11, Population 3 - 17 prefers a good sized territory with plenty of grassland, and a slightly smaller area of forest. Maiasaura - Group 4 - 12, Population 4 - 23 Prefers good sized grassland areas with a slightly smaller coverage of forest. Mamenchisaurus - Group 2 - 4, Population 2 - 25 Prefers large areas of grassland, with similar sized coverage of forest. Muttaburrasaurus - Group 6 - 12, Population 6 - 20 Prefers good sized open grassland areas with a slightly smaller coverage of forest. Nodosaurus - Group 1 - 4, Population 1 - 7 Prefers very small areas of grassland and forest. Pachycephalosaurus - Group 3 - 6, Population 3 - 10 Prefers good sized open grassland areas with a slightly smaller coverage of forest. Parasaurolophus - Group 4 - 14, Population 4 - 21 Prefers good sized grassland areas with a slightly smaller coverage of forest. Pentaceratops - Group 3 - 5 , Population 3 - 9 Prefers modest area of grassland, with a small amount of forest. Polacanthus - Group 1 - 3, Population 1 - 6 Prefers modest areas of grassland and little forest. Sauropelta - Group 1 - 2, Population 1 - 4 Prefers modest areas of grassland with no forest. Sinoceratops - Group 2 - 7, Population 2 - 16 Prefers modest area of grassland, with a small amount of forest. Stegosaurus - Group 5 - 9, Population 5 - 15 Prefers good sized territory with plenty of grassland, and a slightly smaller area of forest. Struthiomimus - Group 1 - 20, Population 1 - 25 Prefers very small area of grassland with a tiny amount of forest cover. Stygimoloch - Group 4 - 12, Population 4 - 14 good sized open grassland areas with a slightly smaller coverage of forest. Styracosaurus - Group 2 - 5, Population 2 - 14 Prefers modest area of grassland, with a small amount of forest. Torosaurus - Group 2 - 5, Population 2 - 13 modest area of grassland, with a small amount of forest. Triceratops - Group 1 - 6, Population 1 - 16 Prefers modest area of grassland, with a small amount of forest. Tsintaosaurus - Group 4 - 15, Population 4 - 22 Prefers good sized grassland with a slightly smaller coverage of forest. Allosaurus - Group 1, Population 1 - 16 Prefers large areas of open grassland for its territory. Baryonyx - Group 1 - 2, Population 1- 16 Prefers good sized grassland with little forest cover. Carnotaurus - Group 1 - 2, Population 1 - 20 Prefers good sized grassland with a small area of forest cover. Ceratosaurus - Group 1 - 3, Population 1 - 20 Prefers good sized grassland with a small area of forest cover. Deinonychus - Group 3 - 8, Population 3 - 18 Prefers some grassland, and a smaller area of forest to live. Dilophosaurus - Group 1 - 12, Population 1-22 Prefers roughly equal grassland and forest regions. Giganotosaurus - Group 1 - 2, Population 1 - 13 Prefers large areas of open grassland for its territory. Indoraptor - Group 1 - 1, Population 1 - 10 Prefers large areas of grassland along with moderate forest cover. Indominus Rex - Group 1, Population 1 - 10 Prefers large areas of grassland with some forest cover. Majungasaurus - Group 1 - 2, Population 1 - 16 Prefers good sized grassland with some forest cover. Metriacanthosaurus - Group 1 - 2, Population 1 - 18 Prefers good sized grassland with some forest cover. Spinosaurus - Group 1 - 2, Population 1 - 13 Prefers large areas of open grassland for its territory. Suchomimus - Group 1 - 2, Population 1 - 16 Prefers good sized grassland with little forest cover. Tyrannosaurus Rex - Group 1, Population 1 - 15 Prefers large areas of open grassland for its territory. Velociraptor - Group 2 - 6 . Population 2 - 20 Prefers a reasonable area of grassland, as well as some forest to thrive. So, storms can cause a lot of trouble your island. such as broken buildings, escaped dinosaurs. You may wanna to tranq dinosaurs like Rex, Indominus rex NEEDED and Velos. you can tranq them once a storm warning come to you. better tranq the indominus first. So you will not have any dinosaurs escaped. You can also build Storm Defense Stations near buildings and enclosures on the park. Also, make sure every guest get in a emergency shelter, once a storm warning comes, tho to dinosaurs escaping and killing guests. To keep your dinosaurs on a high comfort, make sure you have their needs. such as what areas they prefer, food, popluation and social group. you can find the popluation and socials groups in "Dinosaurs and their needs" section. If you losing money, Make sure The buildings, such as gift shop, restaurant, that you making profit and not lose. You may wanna sell buildings you don't need, such as gift shops, if no one coming, and also built in a stupid place, sell it, if there is buildings that guests coming, you wanna ramp up the prize for couple extra dollars.